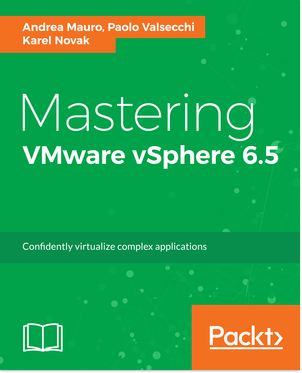 VMware provides a free eBook to learn how to easily plan for and execute the vSphere 6.7 upgrade process, including reference scenarios to help you more efficiently and successfully upgrade. Second you need to check the entire software stack compatibility… not only on the final state, but during the whole upgrade path, in each single step. This can be tricky and also if you don’t have additional software components, can be challening also for vSphere only, because it requires a careful planning and attention on the different compatibility and interoperability matrix. If you have more VMware products, then the vSphere upgrade part could be really later in the whole workflow. VMware has realized a great KB article that document the different steps: see KB 53710 (Update sequence for vSphere 6.7 and its compatible VMware products). Remember also to check all third-party products, like backup software! This sounds more about something trivial… but there are some changes that you need to know. Expecially in the UI: you may come from the legacy vSphere Client for Windows (in C#) that was removed with vSphere 6.5 and now you have to use only web clients both for ESXi and vCenter management. But also if you came from the vSphere Web Client, you can now start learning on how use the new vSphere Client. VMware plans to deprecate the Flash-based vSphere Web Client with the next numbered release (not update release) of vSphere. For more information see also Goodbye, vSphere Web Client! Also there are a lot of new features that you may be interesting to know. VMware has deprecated vCenter Server (and the PSC) for Windows with the release of vSphere 6.7. The next version of vSphere (not update release) will not include vCenter Server for Windows. For more information see also Farewell, vCenter Server for Windows. 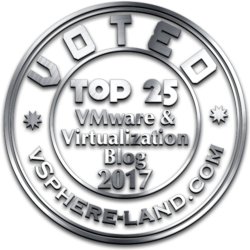 For this reason this could be a perfect time to migrate your existing Windows based vCenter (and PSC) to the vCSA version. Fortunately you can performa the platform migration and upgrade in a single step, thanks to the specific migrate function in the vCSA 6.7 ISO. If you have an external PSC topology, than remember that it will become an unsupported topology. For more information see External Platform Services Controller, A Thing of the Past. Again the vCSA 6.7U1 ISO contains a useful tool to converge an external PSC to an embedded topology. But you need first to upgrade your PSC and vCenter first to version 6.7 Update 1. Remember that the external PSC must all be upgraded before the vCenter. To upgrade ESXi hosts there are different options, each with its own set of requirements or considerations. Note that the upgrade process is totally different if you have an existing vSphere Auto Deploy environment. Before upgrading to vSphere 6.7, ensure that the Distributed Virtual Switches (DVS) have been upgraded to at least a 6.x version. Otherwise the upgrade will fail! 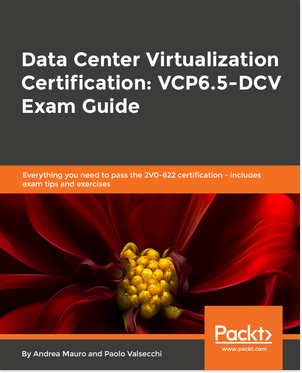 Take a backup of your DVS configuration before make any changes. You can perform some kind of in-place upgrade of vSphere components, or think about a full rebuild of them. There are diffent pro and cons in both cases. You want to use the new ESXi features, like the secure boot, that require an EFI boot. And your server was configured with a standard BIOS boot. Your ESXi cames from very old version and maybe they are no more upgradeble. For vCenter and PSC remember that there isn’t a real in-place upgrade: both in the Windows migrate or in the vCSA upgrade cases, a new vCSA is build and the configuration in copied from the original (and old) system to the new one. But you still have the old system… that a perfec plan-B! For DVS that in-place upgrade is the best option, but just keep a backup of your switches configuration, before and after the upgrade. For VMFS there is no way to perform an in-place upgrade… you always need to build a new VMFS6 datastore and then move the VMs.